Albert was born on the Thunderchild First Nation. The second son born to John Noon Sr. and Eliza Noon. His early years consisted of going to Anglican day school here on Thunderchild, then for a number of years later in Poundmaker. Albert loved horses and sports such as soccer, boxing, rodeo and hockey. In addition, he practiced his traditional Cree beliefs. Albert was also an avid Round dance singer. His grandfather Apito Kesikowans - George Noon passed down to him two lodges, the Chicken dance and the Wolf lodge accompanied by ceremonial songs and protocols. Albert passed down the Chicken dance and Wolf Lodge to his nephew, Dwayne Noon. Albert was also a Pipe carrier. In addition, Albert served on the Thunderchild Band Council for a number of terms. In later years (90's) he had a water delivery business serving the Turtle Lake area. 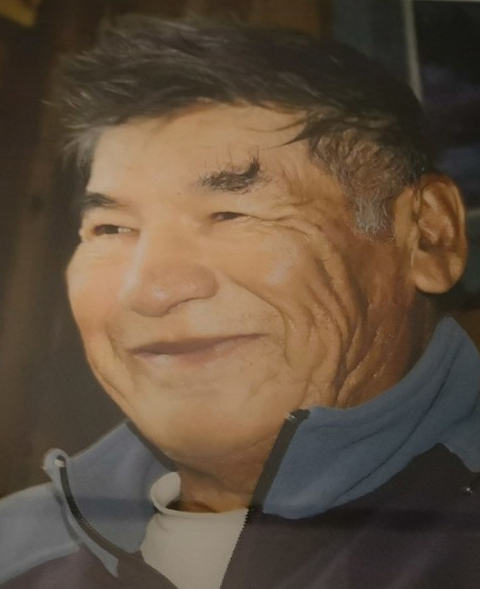 His ancestral roots were in Turtle Lake and that is where he resided until he became ill. Albert also had a wonderful sense of humour, often sharing funny adventures and stories. He was also very kind and generous to everyone which he felt was necessary to role model Traditional Cree ways and teachings. Albert also believed in his Christian beliefs and teachings. He was known for his direct honest way of teaching songs, stories and Traditions of the Cree people. He passed down many oral traditional stories and histories of the Misanak Sahgaiehcain Cree people. Albert was also a ranger and carpenter. He did not have any children, but he took on the role as father, grandfather and Chapan. Albert is pre-deceased by his: parents, John Noon Sr. and Eliza Noon; sister, Marie Noon; brother, John Noon Jr.; nephews, Wesley Noon, and A.J. Noon; niece, Pam McKay; granddaughter, Patience Noon; and Chapan, Eric James Noon. Albert is survived by his: sisters, Harriott (Angus), Joyce Rayhawk (Bob), and Linda Quinney (Dennis); brother, James Noon; cousins, Douglas Star, Tony Snakeskin, and Allen Snakeskin; special cousin, Jean Dillon; aunt, Katie Fly; sister-in-law, Verna Noon; nephews, Dwayne Noon (Juanita), Ryan (Karen), Dallas, John (Robyn), Robin (Francine), Leslie, Donald (Arlene), Calvin (Corienne), Bertie (Gloria), Jonathon, Bryce, Brian, and Brandon McKay; nieces, Connie, Esther Albert (Ray), Lisa, and Rayna; twenty-two grandsons, twenty-seven granddaughters, and twenty Chapans.